Jesse Byock, 383 pages. Jules William Press softcover. For those of you trying to learn Old Norse, you have the definitive source. 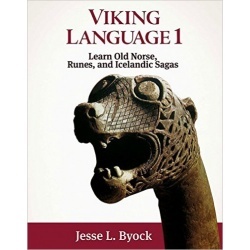 This is a university level textbook which not only teaches Norse but the history and culture of the Northlands including Saga studies and runes. This is an incredible source of information for the Gothar and serious student and practitioner of Asatru. Professor Byock is very Asatru friendly and an incredible source of trusted information about our history, lore, and native spriituality. Paulsson & Magnusson translation, Penguin classics softcover, 379 pages. 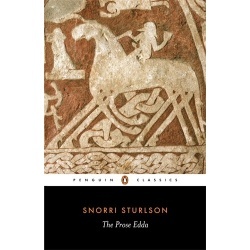 Perhas the second most popular saga, this tale chronicles the most famous feud in Icelandic history. DuBois, University of Pennsylvania Press, 271 pages. University of Pennsylvania Press softcover. 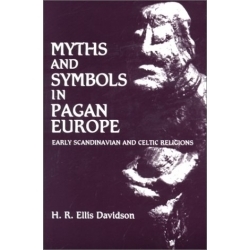 This authorative work offers a comprehensive narrative on our ancient Heathen beliefs and ustoms, as well as describing Christian influences on the customs and religious practices of Scandinavians. This is the book we all have been waiting for! hilda R. Ellis Davidson, Syracuse University Press, 268 pages. 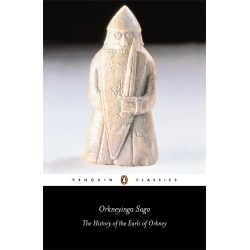 A comprehensive guide to the ancient practices and zymology of the Norse and Celtic religions and peoples. 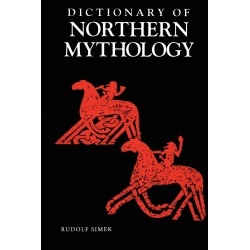 This book is an excellent resource for the parallel study of the Norse and Celts. Contains numerous drawings and photos. Mark Puryear, I Universe Press softcover, 255 pages. 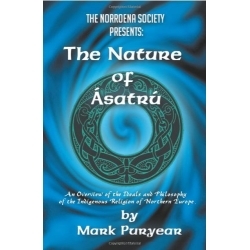 An excellent introduction to the religion of Asatru which may benefit the more advanced students as well. 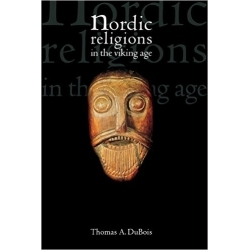 Includes chapters on the lore as well as how Asatru is practiced today. 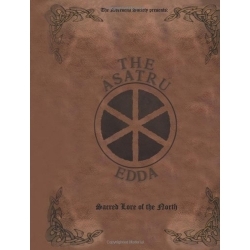 It also includes a dictionary which is one of the most complete available; this has received reviews within the Asatru community. World Tree Publications, softcover, 66 pages, Edred Wodanson. This is a worthy companion to the Handbook of Asatru with even more basic information to explain Asatru to beginners, as well as more in depth information of the history of Asatru, conducting blot, kindred development, the runes, and a reading list. Jesse Byock, Penguin softcover, 448 pages. 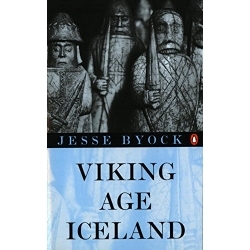 This is the latest offering in a series of books written by Byock about the Saga Era of Iceland. Byock, who is familiar with modern Asatru and supportive of our ways, offers a comprehensive acocunt of the settlement of Iceland and the development of the Gothar Republic, as well as presenting extensive coverage of the mechanics of early Icelandic culture. 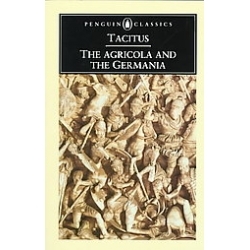 Personally I have gained a great deal from this work and I highly recommend it to all students of the Northern Folkways. Carolyne Larrington translation. Oxford Press softcover, 326 pages. This new translation of the ancient wisdom and tales of the Gods and Goddesses has been loudly acclaimed for it's easy to read and comprehend language which remains true to the Icelandic to English meanings long used by the early translators. Extensive footnotes. Snorri Sturluson. Everyman Press softcover, 280 pages. Faulkes translation. Also known as the Elder Edda, this is Snorri's valiant attempt to preserve our Heathen heritage for future generations. 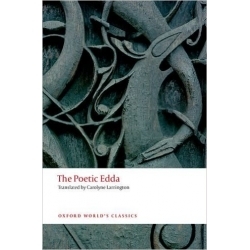 A necessary companion volume to the Poetic Edda. H.P. Hassenfratz PhD, Inner Traditions softcover, 164 pages. 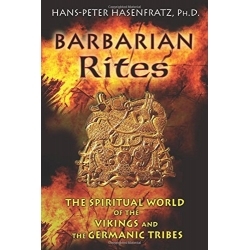 A comprehensive guide to the ancient religious and cultural rites of the Norse/Germanic people during the Bronze Age. This is the most complete and thorough compendium on the subject ever! Rudolf Simek, Boydell and Brewer, softcover, 425 pages. This is the standard reference source used by everyone with an interest in the old ways, and this dicutionary belongs on everyone's bookshelf, you will find yourself reading t often. H.A. Gruber, Dover Publications softcover, 397 pages and numerous illustrations. 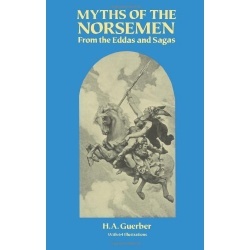 This book contains some of the best stories of the Aesir and Vanir ever written, as well as stories of the Sagas as well. We all need this classic reprint. World Tree Publications softcover, 35 pages. Hollander translation. This professional produced booklet contains and authorized reprint of the complete Havamal - timeless advice to live by AllFalther Odin. Two basic booklets outlining the fundamental values of our religion and the everyday lessons of our deities. These compact documents are excellent introductions for the novice, and handy references for seasoned Asatruar. Paulsson & Edwards translation, Penguin Classics softcover, 251 pages. The saga of the Norse and Scottish settlers of the Orkney Islands. Snorri Sturluson. Dover Publications softcover, 288 pages. Arthur Gilchrist Brodeur. 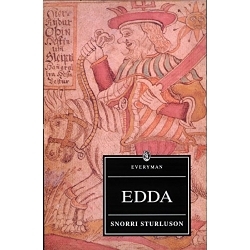 This is an exact reprint of the Prose Edda originally published by the American-Scandinavian Foundation of New York in 1916, except that it is a softcover. This is an excellent translation and we are pleased that it is again in print. With introduction and prologue. A concises, straightforward question and answer booklet about the religion of Asatru. Addresses such basics as when it started and what followers believe. Fell translation, Penguin Classics, softcover, 221 Pages. 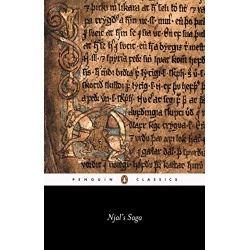 Thought to have been written by Snorri circa 1230 CE, this is the saga of the premier Asatruari of Iceland - a warrior, poet, vitki, and father. 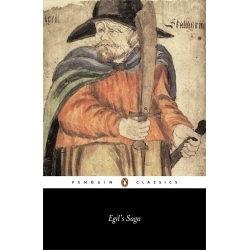 Egil's Saga chronicles the wars, rivalries and tensions between the ruling clans of Iceland and Norway. This is one of the most readable sagas, and it certainly deserves a place of honor within your book hoard. Mark Puryear and the Norroena Society translation, softcover, 404 pages. I Universe Press. A heroic effort to present the Eddas as a sacred text. Free of outlander and xtian influences. This book is for the Gothar and the most serious of students. Extensive footnotes and Old Norse dictionary. This is the most important book for the Asatru in decades. 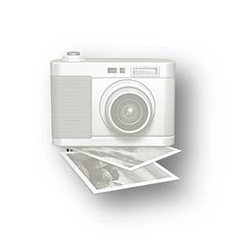 Large 8 1/2 x 11" full sized format.